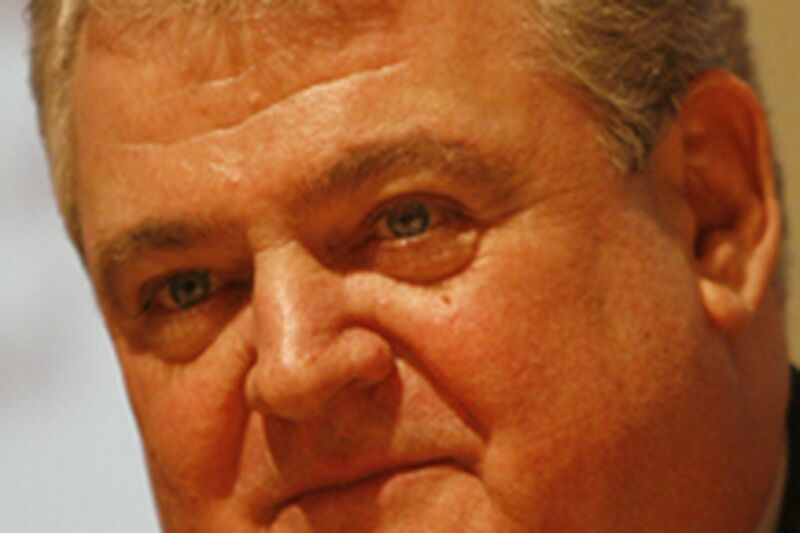 U.S. Rep. Bob Brady has won Round 2 of his legal battle to stay on the ballot in Philadelphia's May 15 Democratic mayoral primary. As of last night, it wasn't clear whether there would be a Round 3. Yesterday, a three-judge Commonwealth Court panel unanimously denied a request by six city voters - who had the financial backing of candidate Tom Knox - that Brady should be thrown off for having failed to disclose pension contributions from the carpenters union. Writing for the court, Judge Dan Pellegrini ruled that the instructions about what must be reported on a candidate's statement of financial interests do not explicitly require the disclosure of such contributions. "Because a candidate may reasonably rely on the instructions given to him as to what is reportable income, it is neither a fatal defect to the [ballot] petition nor a violation of the Ethics Act when a candidate fills out the form in accordance with those instructions," the judge wrote in a 13-page opinion. Attorney Paul Rosen, who represents the six voters on Knox's behalf, said last night that he and his clients would meet over the weekend and decide by Monday whether to appeal the case to the Pennsylvania Supreme Court. He called the Commonwealth Court's decision troubling. "In the hearing before the judges [Tuesday], a sweetheart deal was exposed between the carpenters union and Brady, and the appellate court said today that it doesn't have to be disclosed," Rosen said. "The act is designed for full disclosure; the court is limiting disclosure. That, to me, is frightening." Knox, a millionaire businessman who is using his own money to pay for his campaign, had used the mistakes to argue that Brady was unqualified to be mayor. Brady's lawyer, Stephen Cozen, said he was "more than pleased" with the result and the reasoning behind it. The first judge to hear the case, Luzerne County Court Senior Judge Patrick J. Toole Jr., decided last month that the pension contributions were income as defined by the instructions. But Toole - who presided because Brady, as the city's Democratic chairman, helps elect Philadelphia judges - ruled that the failure to report this income was a non-fatal defect and allowed Brady to amend his disclosure statement. Yesterday, rather than pointing a finger of blame at Brady, Commonwealth Court blamed the state Ethics Commission, arguing that it produced a flawed set of instructions. In the opinion, Pellegrini acknowledged that pension contributions are the type of "thing of value" that ought to be reported under the Ethics Act. But he said the instructions got in the way by limiting "what is to be included in income." The judge noted that cases such as this, in which the issue is exactly what must be disclosed by a candidate, are becoming increasingly common. He asked for someone - presumably the Supreme Court or the legislature - to draw a clear line. Should that happen, Pellegrini wrote, "candidates will then be treated the same and the outcomes will not be dependent on the unique factual circumstances of each case that requires judges to find whether a candidate's failure to disclose crosses some unknown lines."